Field training is one of the most important jobs in law enforcement. It is in field training that rookie officers learn how to apply what they learned in the academy, and the FTO can imprint the values of the department on the recruit. Field training officers shoulder a huge burden, and these articles are here to help. Broken Recruits: Common Field Training Problems and Solutions – Richard offers some concrete suggestions for fixing common problems in recruit officers. 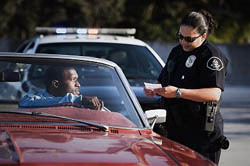 Challenges for the New FTO – Tips and hints for the new field training officer. Field Training for the Lateral Hire – Training a officer with experience from another agency is generally easier than a raw recruit, but it is not without its challenges. Field Training Observations – General principles in field training of new police officers. Selecting a Field Training Officer – Guidelines and ideas for picking who is qualified to be a field training officer. If you are currently a FTO, or have experience as one, we’d love to get your input. Hit the contact form and shoot us an e-mail if you would like to write an article about field training. The law enforcement community has a gaping hole in our training material when it comes to training new recruit officers. We’d like to change that – at least a little – by providing a resource for new and experienced FTO.